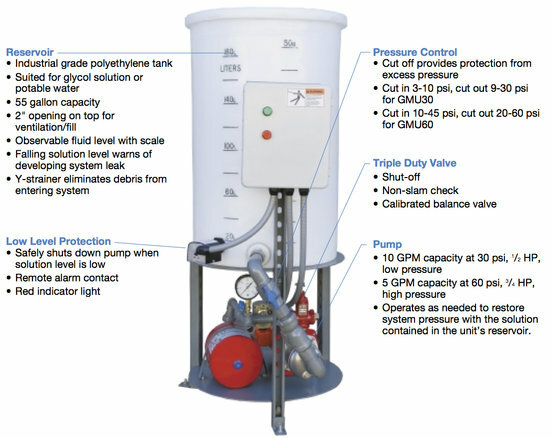 • Ideal for use as a break tank for potable water systems. Requires a 115/1/60 single power connection and a 3/4″ NPT system piping connection. The GMU is completely automatic. Maintains minimum system pressure levels.